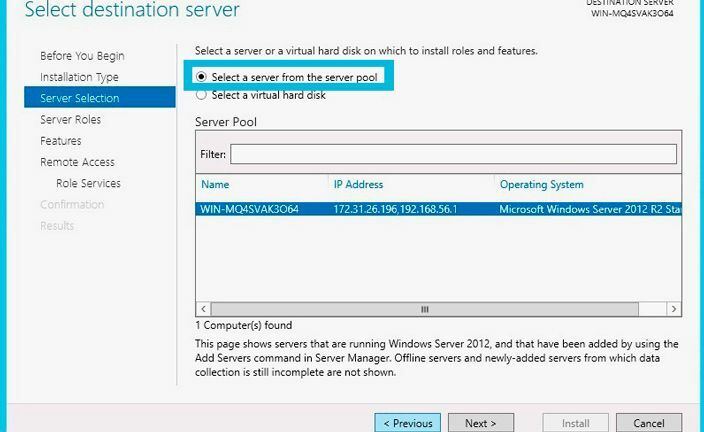 In this article we will take a look on how to install VPN server on Windows Server 2012 R2. 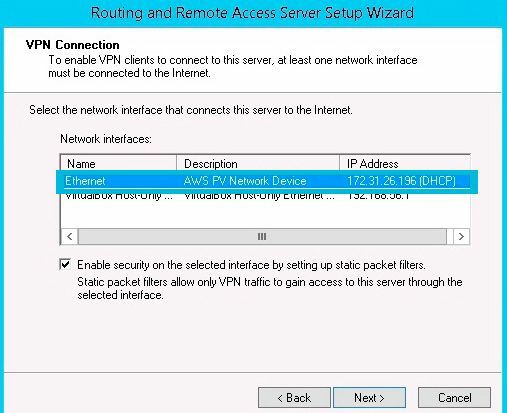 VPN (virtual private network) technology is used to create a direct connection between computers that placed in different subnets. 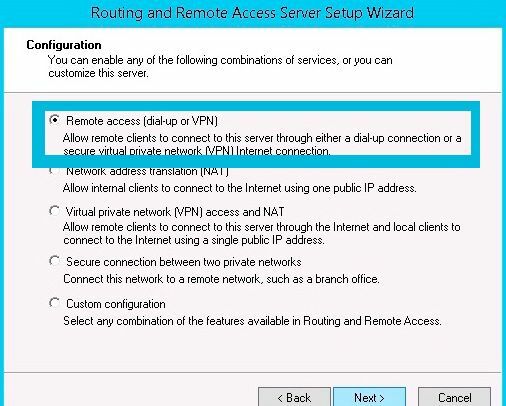 For example, you can use VPN when it is necessary to set up a small computer network of companies whose employees are working remotely. It also can be useful in a situation when you want to play computer game with your friend who lives in another city. 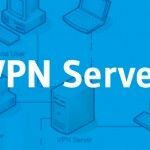 VPN uses internet transport protocols TCP, UDP and has several types of implementations — PPTP, L2TP, OpenVPN. 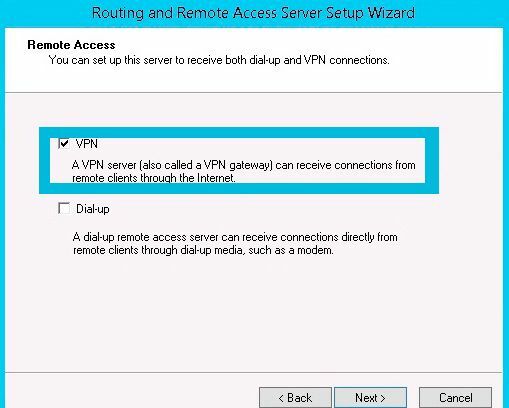 In this article we will consider a VPN solution for Microsoft Windows based on PPTP. 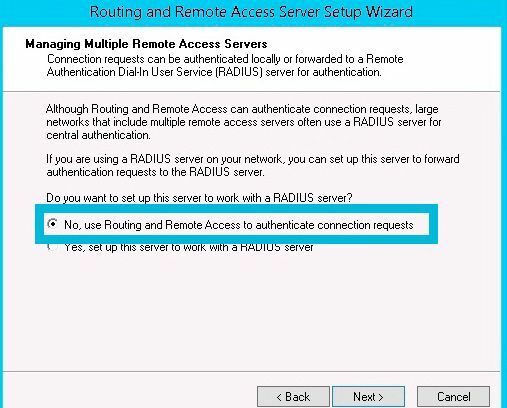 This protocol is not the best solution because of its low security level, but it is the simplest and fastest way to create a connection using only the built-in features of your operating system without external apps installation. Follow this step by step guide. 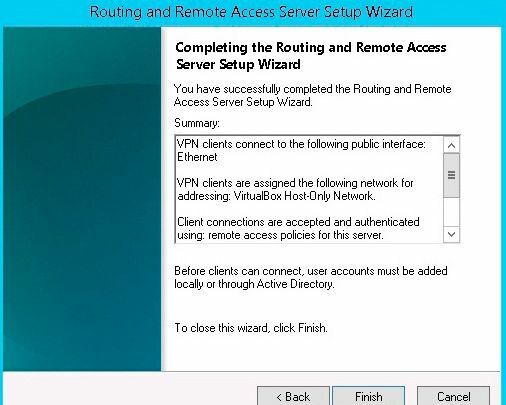 Before you begin the installation of VPN, ensure that port 1723 is open for TCP PPTP in your firewall. 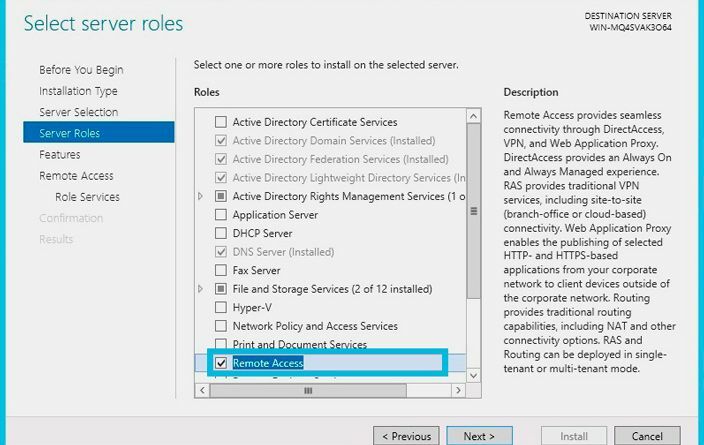 At first open your Server Manager and click on Add Roles and Features. 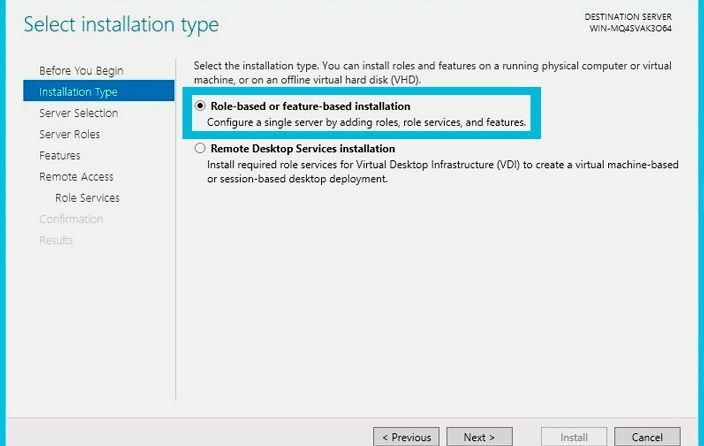 Now select Role-based or feature-based installation option and click on Next. 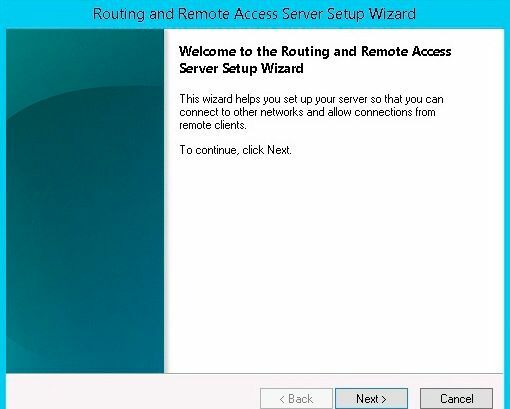 Now select desired server you’d like to install Routing and Remote Access on. Click Next, no additional features required at this point. 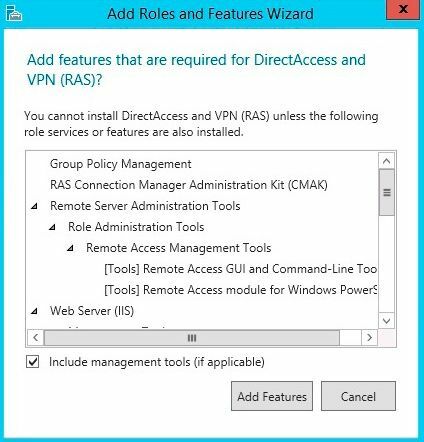 In next tab you need to select DirectAccess and VPN (RAS). Click Add Features in the popup window. 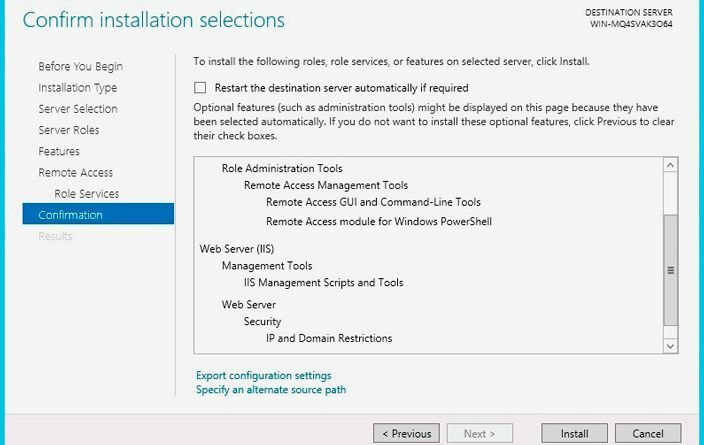 On confirmation page click Install to begin. 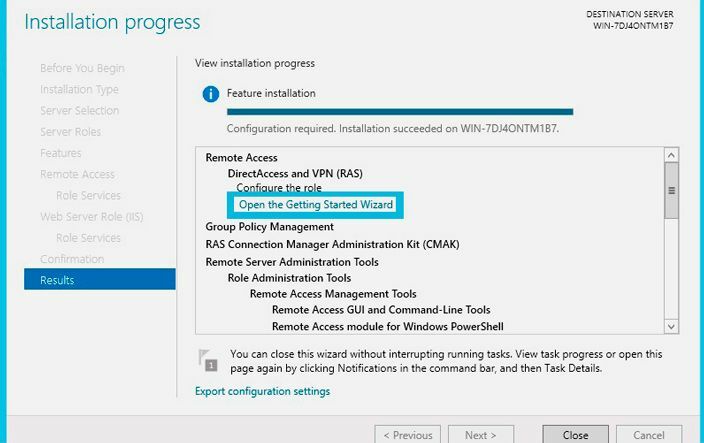 After installation process is finished, click on Open the Getting Started Wizard. 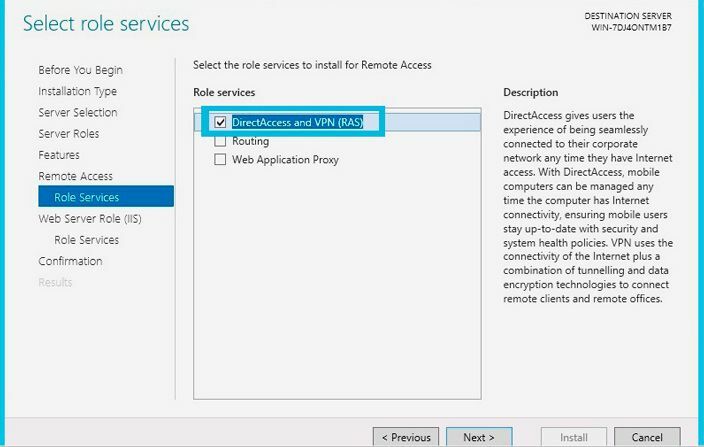 In this tab press Deploy VPN only. 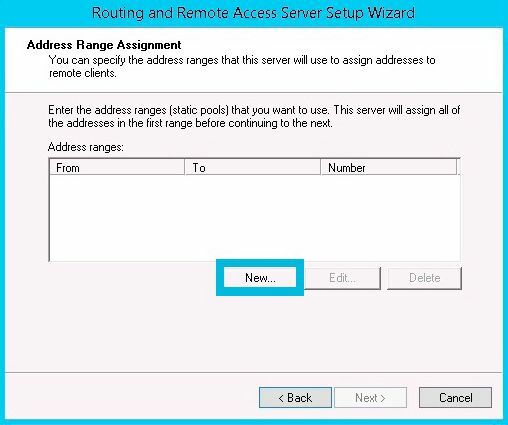 Right click on your server and choose Configure and Enable Routing and Remote Access. 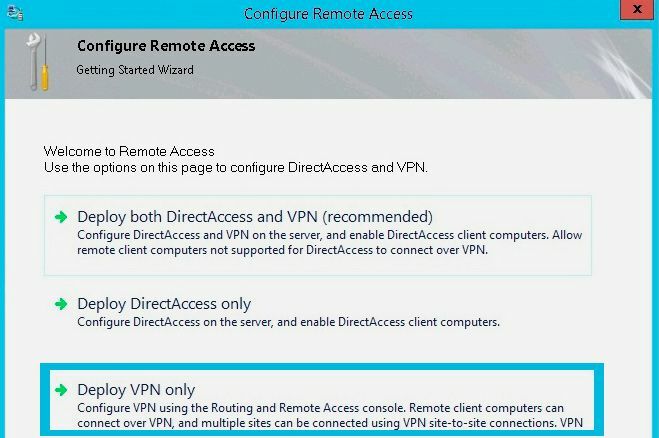 On the new wizard select Remote Access (dial-up or VPN). 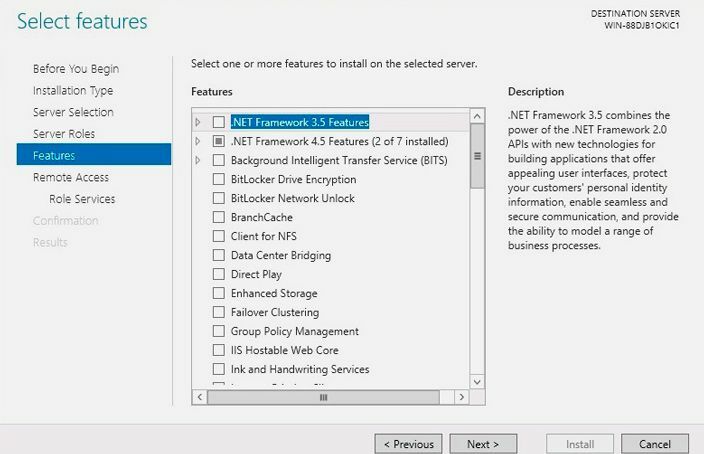 On the next page select VPN. Here select network adapter that connects your server to the Internet. 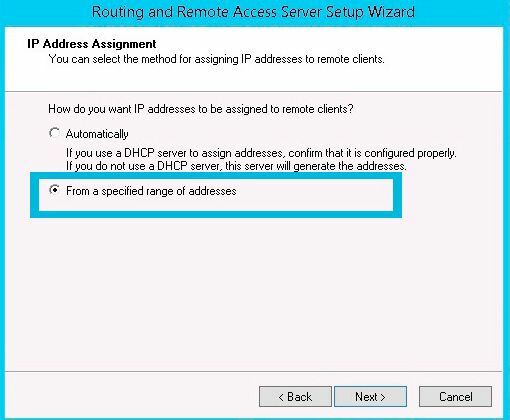 Here you can choose the method of distribution for IP addresses — via DHCP or manually. Select the second way. In this tab press New. 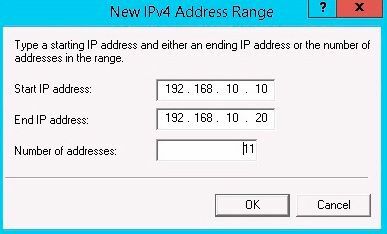 In popup window specify range of IP addresses, press OK, return to previous tab and click on Next. In this tab you can choose the method of authentification. 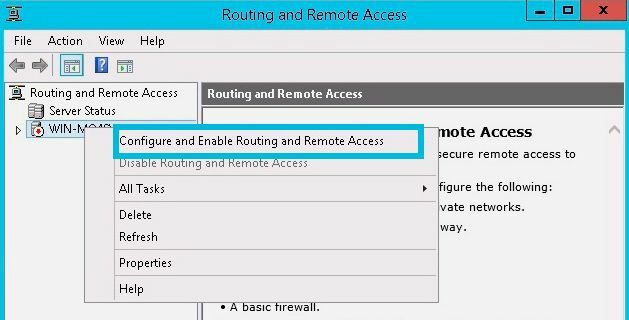 Select Routing and Remote Access. Press Finish. Now configuration is finished. That`s all. Your server is ready for client connections. 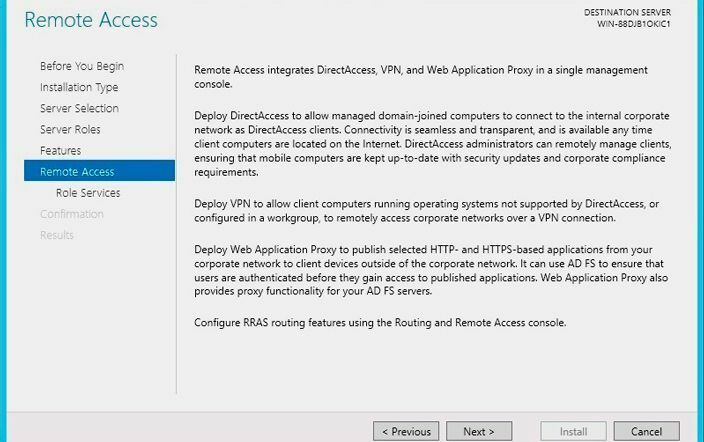 Note that if your network is large enough, it is better to use DirectAccess technology.